Social Media also performs actively to link up your contents with more external sites. The more varied external links you have, the higher-ranking placement you get in the search engines. Quite obviously, the contents have to be highly informative and authoritative as the contents will work as the best medium to attract links. Social Media can act as a broadcast channel in this field. You must bring your contents into the existing discussions and threads as it will help to maximize your probable external link sources. Social Media marketing is the perfect medium that can help to connect yourself in your local community. It can send specific local authority signals to major search engines. You can serve the purpose in a number of ways, but the two easiest ways are interrelating with the local brands and posting updates whenever your company gets involved in a local occurrence. You can accomplish the task in a very straightforward way, such as posting the pictures of that local occasion where your company has attended and inviting local inhabitants to post their comments. This will work more than a specific SEO advantage. Once you are present online, you must concentrate on making your presence more vibrant. Once your presence on the web is increased, it will surely draw more viewers to your website. There is no specific reason behind the purpose other than giving your viewers a quality experience but it is the point where it all begins because the better experience you provide to your users, the higher rank you get in the search engines. 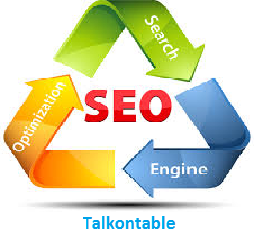 These are the number of reasons for which social media has got strongly interlinked with SEO service. Hence, it will be right to say that you must not think twice to use the number of social media as the platform for marketing of your business.